Castlebar - County Mayo - Finbar Hoban Presents... Therapy?. Finbar Hoban Presents legendary Northern Ireland rockers Therapy? live at The Royal Theatre in Castlebar this Sunday night. Therapy? have also played with some of the greatest bands in the world including Metallica, Alice in Chains, Soundgarden, and Pearl Jam. The band picked up a Kerrang! award for Best Album, a Mercury Music Prize nomination, and a nomination for Best Rock Act at the MTV Europe Music Awards. Therapy? released several follow up albums and have toured the world on numerous occasions. Tickets for their long awaited Castlebar show on this Sunday are on sale now from Downtown Records Castlebar and entertainment.ie (Only 20 tickets left on entertainment.ie, so grab them quick!). Finbar Hoban and Therapy? 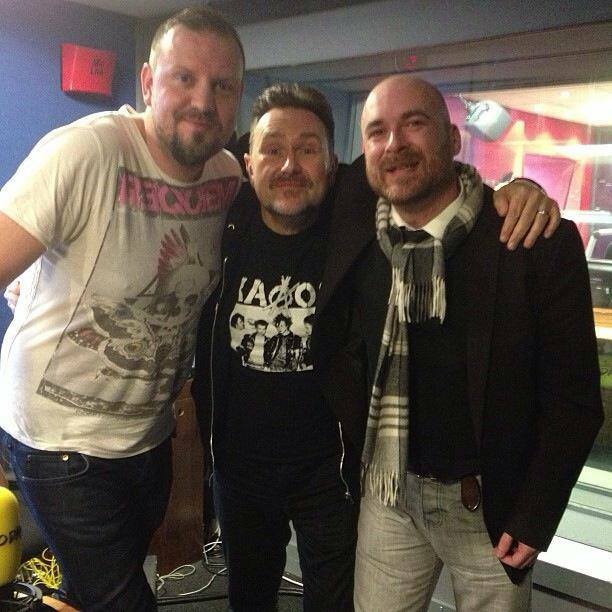 frontman Andy Cairns today (Friday 25th Oct) joined KC on his lunchtime show on Today FM. Andy was interviewed about Therapy? 's upcoming show in Castlebar this Sunday night and also performed an acoustic version of Screamager from the album Troublegum.